Capital of the Friuli Venezia Giulia region of northern Italy, the city of Trieste enjoys a coastal position, with a stunning backdrop of white cliffs, next to the Adriatic Sea. 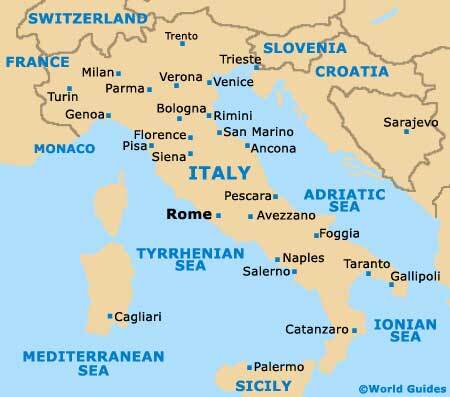 Trieste lies close to a number of notable Italian locations, such as Venice, which stands across the water and can be easily reached by either car or ferry. 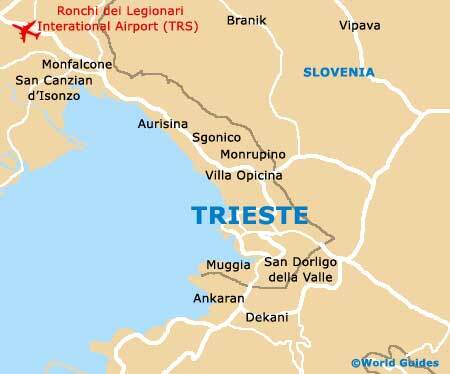 Trieste Friuli Venezia Giulia Airport (TRS) is located outside of the city and to the north-west, being an important hub for the region. Public transport around the Trieste area includes a bus station on the Piazza Libertà, and a nearby busy train station, both of which are just a ten-minute walk from the heart of the city. The main tourist information centre in Trieste can be found at the central Piazza Unità d'Italia, which is open daily. Much of the city is centred around modern, grid-like roads and streets. Many tourists visiting Trieste head to the hill of San Giusto, which features a 15th-century fortress at the very top, together with impressive views. A number of appealing museums are located within the old town area of Trieste (Città Vecchia), close to the Porto Vecchio. Several impressive churches and remains of historic Roman buildings also reside in this district.